Root canal infections occur when bacteria reach the central canals of your teeth due to exposure from taking a blow to the mouth or tooth decay. A root canal is a procedure performed for the purpose of repairing or salvaging a seriously decayed tooth or a tooth that has been severely infected. During a root canal procedure, the tooth’s nerve and pulp are extracted before the tooth’s nerves, and inner area is properly cleaned, dried and sealed. Root canal infections should be treated as soon as they are diagnosed before the harmful bacteria penetrate through your tooth’s soft tissue, into the inner nerves and chambers of the tooth. One of the first signs is temperature sensitivity when your teeth are exposed to hot or cold beverages and solid foods. The discomfort you may feel when your teeth are exposed to such temperatures is as a result of your teeth’s nerve endings being presented after the enamel gets eroded by bacteria. 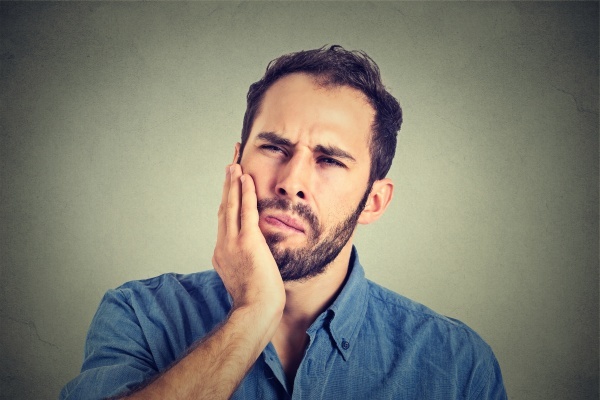 Having sensitive teeth when exposed to hot or cold foods is one thing, but if the sting persists long afterward, there’s a high chance your root canal is infected. You may either experience the ache as a throbbing sensation or as a persistent, intense pain. Either way, it is a sign that your root canal has been infected and action needs to be taken immediately. When you notice a discolored tooth in your mouth, it is a sign that you might have a dead tooth. The discolored tooth is a result of poor blood flow caused by tooth decay, root canal infection, and physical trauma. A sure tell-tale sign of a root canal infection is terrible mouth odor. Bad breath comes about as a result of harmful bacteria breaching your teeth’s enamel and entering the root canal. Once the bacteria penetrate the tooth, the resultant infection leads to the emission of awful mouth odor. When a root canal infection is left untreated, puss known to go hand in hand with an abscess may begin forming underneath your gums. One side of your cheek may become tender and swollen leading to a lot of discomforts. Skipping a root canal procedure could lead to the tissue surrounding the teeth and all over the gum getting infected. Once this happens, an abscess may form, creating an ugly sight and smell. The best thing to do if you have any of the symptoms above is to make an appointment with your dentist so that they can diagnose the problem and decide the best course of action. Have more questions about a possible infection after having a root canal? Contact our office, and we can answer any additional questions you may have. We can also help in guiding you to make the best decision for your teeth and oral health.